Vitamin B12 injection. 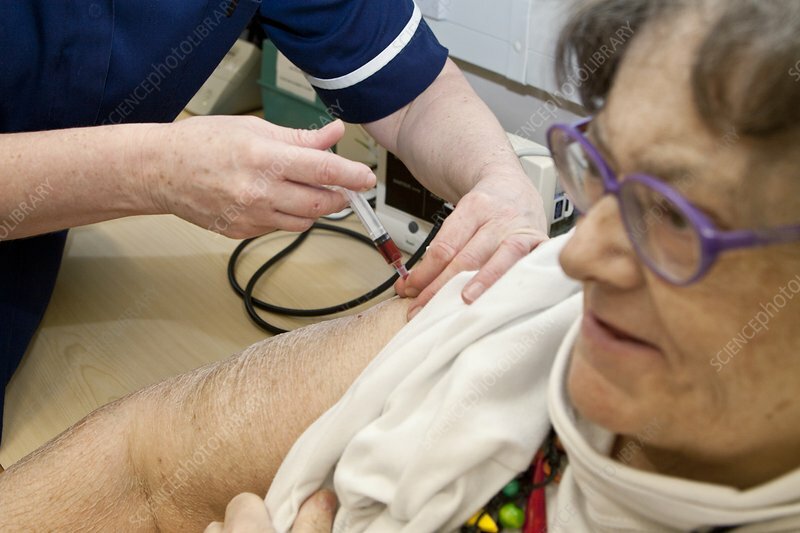 Practice nurse giving a 62 year old female patient an injection of vitamin B12. B12 is needed for the production of red blood cells and for a healthy nervous system. Deficiencies in B12 are usually due to poor absorption rather than inadequate intake. A number of gastrointestinal disorders and drugs can affect absorption.